Clinical psychologists use knowledge acquired from graduate school and professional experience to diagnose and treat mental disorders and other issues that can range from schizophrenia to grief. Unlike psychiatrists, who prescribe medicine, psychologists treat patients through psychotherapy. 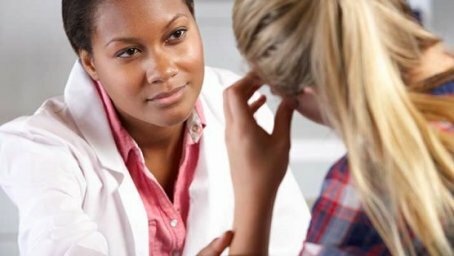 Clinical psychologists work in a variety of areas, and many specialize in treating specific types of patients and illnesses. They need a license to see clients, and licensure typically requires a doctoral degree and completion of an internship. Required Education Ph.D. or Psy.D. As many continue to turn to psychologists for issues such as depression, addiction, mental disorders and relationship problems, demand for clinical psychologists continues to rise. The U.S. Bureau of Labor Statistics (BLS) predicts job growth of 12% from 2012 and 2022 (www.bls.gov). Applicants who hold a doctorate degree, have completed an internship, and have one or more years of professional experience should greatly increase their employment potential. A health psychologist works to further wellbeing by identifying and exploring how factors such as environment, behavior and biology affect an individual's health. Health psychologists develop and implement programs that help manage health-related psychological and psychical problems, such as stress, smoking and obesity. They conduct patient interviews, personality tests, behavior assessments and surveys. After gather information, they then use the results to devise treatment plans. Health psychologists work in various settings, including community health centers, hospitals, rehabilitation centers and schools. They may also work in specialized areas, including oncology, pain management and women's health, according to the American Psychological Association (www.health-psych.org). Psychologists who specialize in clinical neuropsychology develop effective treatments by studying the relationship between behavior and the brain. Neuropsychologists treat patients suffering from degenerative diseases and psychiatric conditions, such as Parkinson's, Alzheimer's and schizophrenia. People who suffer cognitive problems and brain injuries may also receive treatment from neuropsychologists. Neuropsychologists diagnose conditions and develop treatment plans by performing evaluations that identify strengths and weaknesses. Depending on the patient, these evaluations may test an individual's concentration, intelligence, motor skills, language, memory, problem-solving skills, perception and personality. As for pay, that would depend on where you are working. It may be useful for everyday life if you or someone you know have mental health issues. It doesn't necessarily teach you how to get the girl, when is the right time to ask a girl to marry you or how do you deal with jealous friend. You work with more extreme parts of mental health.